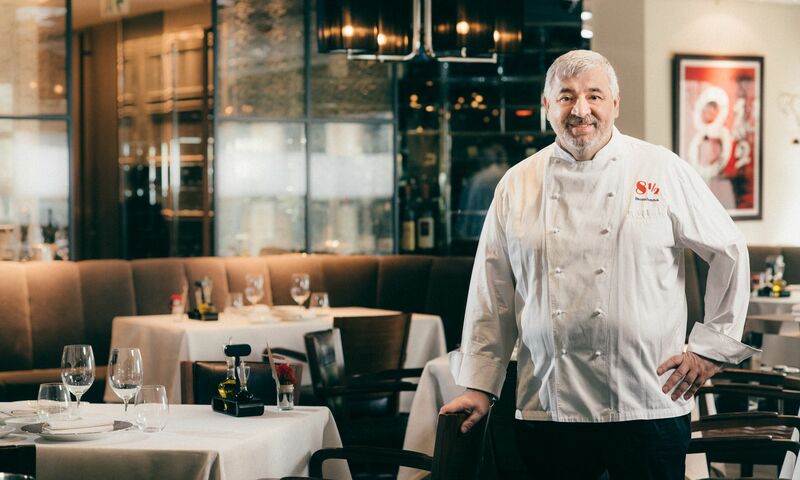 First opened in 2010, Umberto Bombana’s premier restaurant Otto e Mezzo has earned raves and international accolades for nearly seven years. Following up its success came the restaurant’s Shanghai branch in 2012 and most recently, Otto e Mezzo in Macau. The king of white truffles is set to open Octavium, a new restaurant in Central, this summer. Bombana hinted at his new project back in February, when he told us privately that he would be launching a space where he can explore new ideas. “It would be almost like a testing ground for new dishes,” he said, and suggested that perhaps he would have a small menu of simply three appetisers, three main courses and three desserts. “I want to explore new dishes and do a daily dish,” he continued. The reason for this approach was that he was fascinated by a chef he used to work for early in his career who would write new menus daily. Tentatively opening July 1 at the newly built towers of Chinachem Central, chef Bombana’s new address will take a space smaller than his current restaurant. The new establishment named Octavium, is going to be run similar to a private kitchen and doubles as a ‘lab’ for chef Bombana focus on some new culinary concepts. Guests can expect the chef’s presence in both places, as they are within walking distance among one another. Watch this space as we bring you the latest progress on this anticipated opening of the season.